The need to bring broadband connectivity to every school and health organization is outlined as a key objective in the Network Strategies report for the Pacific region. Bluesky works with our Health and Education departments to achieve this and has done so for the past 10 years offering reduced rates for our services provided. 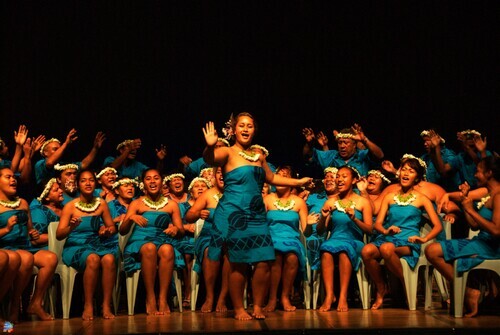 We know the internet is recognised as the most powerful tool in opening the world to the Cook Islands and our children as a learning and interactive tool. Supporting these ministries sees our Company and our shareholders giving back to our children and people. A future project by Bluesky, working with the Ministry of Education, is the development of a virtual education network portal. This will allow students, teachers and institutions alike to exchange educational and teacher training material, develop additional curricular content material and promote a new information and communication culture. Applications for sponsorship will need to apply at least 8 weeks prior to the event to give us sufficient time to evaluate the request, exceptions to be made due to unforeseen circumstances. Q. What do I need to do to apply for Bluesky sponsorship? A. First check the Bluesky Sponsorship Criteria and then send us an email here. Bluesky will be proactive in looking at the annual events calendar and approach projects that match our core objectives. We will be active in creating dialogue with those organisations that we see a complete fit with and that have Bluesky marketing and promotional opportunities. These opportunities may not have been recognised as yet by the sponsee but it is our job to take a lead in this and develop the potential for greater leverage. This requires that we are review the annual events plan for the country and look to match our annual plan with projects that will.